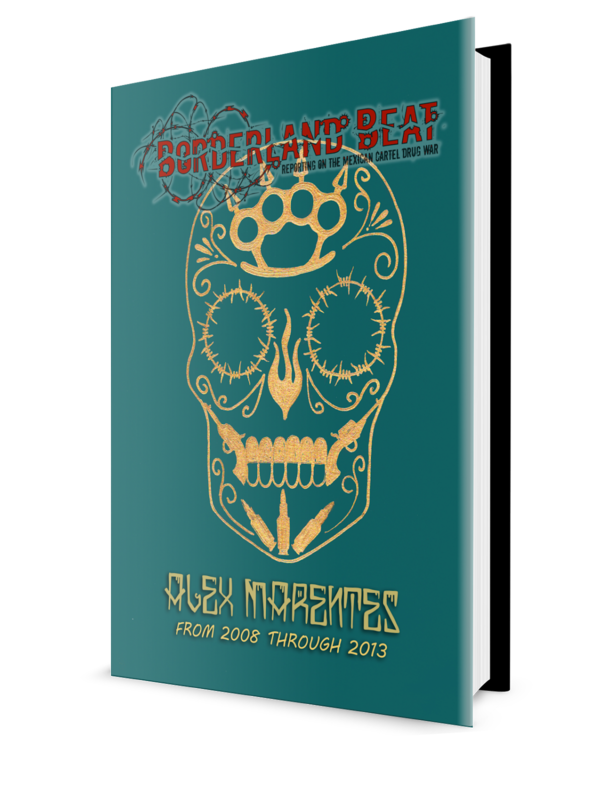 There was a little drama between NYT journalist Alan Feuer and Eduardo Balarezo. 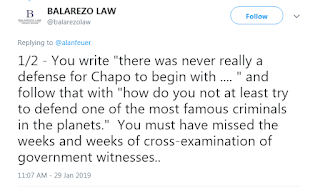 It is understandable that Balarezo would strike out somewhere, he has worked tirelessly at this case from the beginning, for the most part alone, and he alone understands the workings of narcos. The other two were late comers, one signing on a month or so before trial, then seemed to create a circus and wanted the spotlight. That is my opinion. Will the attorneys be paid? Apart from the payment from a “family friend” there are no guarantees. Lichtman announced when signing on he had a guarantee, presumably from the family, that he will be paid. Of course, thy are worried they will not be paid. Balarezo would be the big loser in that scenario. The others didn’t lose a massive amount of time in comparison. The problem with that is the money has to be scrutinized as to being “clean” money. Dirty money would be confiscated. As far as I know only the payments from family friends were made to the legal debt. They soon indicated they could give no more. 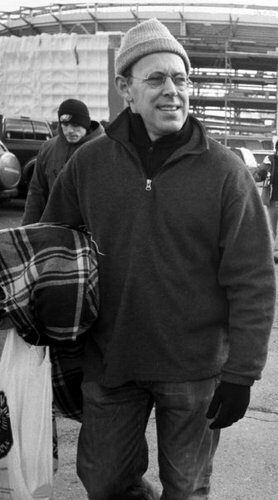 Months back when Balarezo took over the case, the feds said they will indeed take a hard look at payment money. In conclusion the attorneys may have to appeal to the government to pick up the tab for the case that has been deemed “The costliest case in U.S. history. Translation: we the taxpayers. 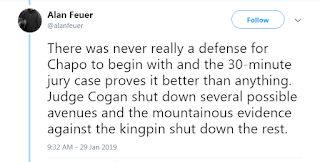 I believe Alan Feuer is a stand-up journalist, who along with Keegan Hamilton provided the greatest coverage of inside the courtroom play by play. They were counted on by Mica'a for the play by play. And countless others used the material including me. View the motion Alan is speaking about with respect to murder conspiracy at bottom of this post. 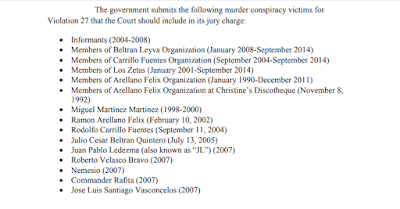 In the letter sent to the court by the government it presents the kill list that I have also posted on main page a few times during the trial. He's not being charged for murder but prosecutors are using that information to show the jurors that these are some of the horrible things the defendant is responsible of as the head of an international drug cartel leaders. Is just a circus, all the americans want is chapos feria and they dont care if they waste peoples money on stupid trials. No you got it wrong, Kingpin Act, sorry he will be serving time in the poky. They knew the US wouldn't accept their money, should have gone for a public defender [which would have been considerably cheaper]. I highly doubt these lawyers will get their price tag from the government. Is there a possibility that they won't get a dime from the govt?? A "journo" from the NYT hungry for the spotlight and attention? Big surprise!!! The ego of Eduardo Balarezo might have helped him in other cases, but did not help El Chapo. He feel his efforts deserve an A+ and that he should troll reporters and the president during the trial. 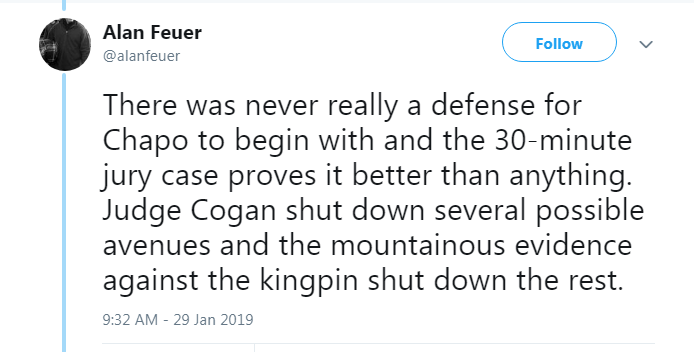 Professionalism would have carried this defense further. 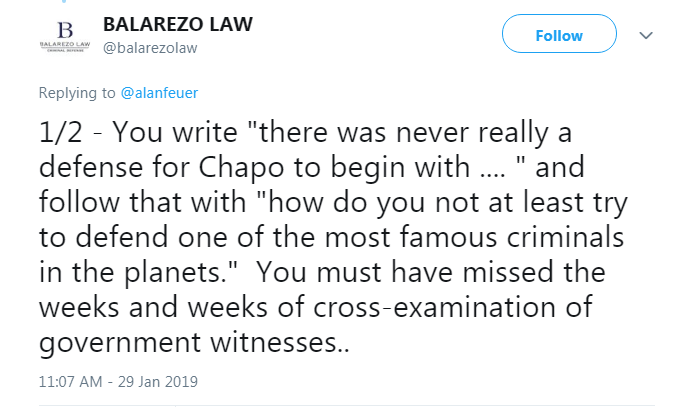 El Chapo trial is a circus. It is meant to distract the public from the real criminals. Who are the real criminals we are ignoring?? He getting paid,theres ways around that,easy! Shouldn’t El Chapo get credit for killing mostly people wanted as criminals by the US government? 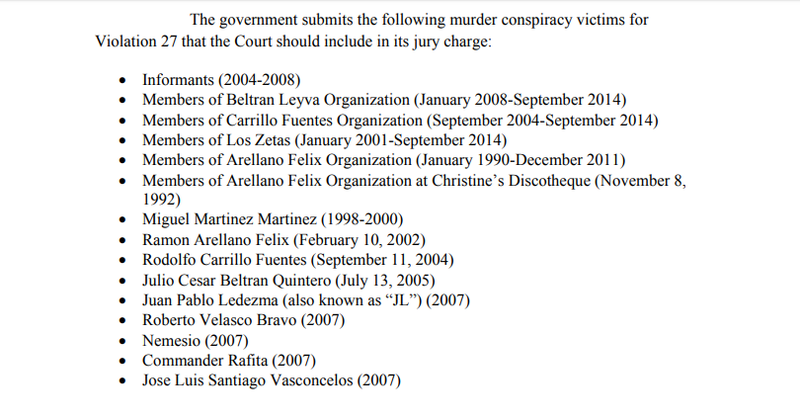 Everyone on that list was a criminal, certified as such by the US government. Of course he will receive credit. An extra 10 minutes outside on Wednesdays. And by outside you mean a basketball court with no rims, and a roof during is 1/23 @ ADX. Idiots skip 4 reports worth of information and then comment. Given all the factors, I don't think the trial was a circus at all, everyone carried themselves as professionally as possible at all times, despite minor deviations from most parties at various moments. 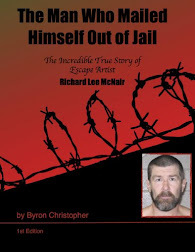 He would be charged with murder under the grounds he committed or directed homicides for the purpose of a continuing criminal enterprise to violate US drug laws. Those defense attorneys missed many chances to object to many things that should have been stopped. A lawyer plays offense and defense. Yes they did object (defense), but where is the offense? They are getting paid with luxury apartments in NY under shell companies - look at Emma, she's walking around the city with a real estate agent instead of an assistant. AMLO: "It is not our strategy to arrest capos"
El Chapo Trial: What's love got to do with it?